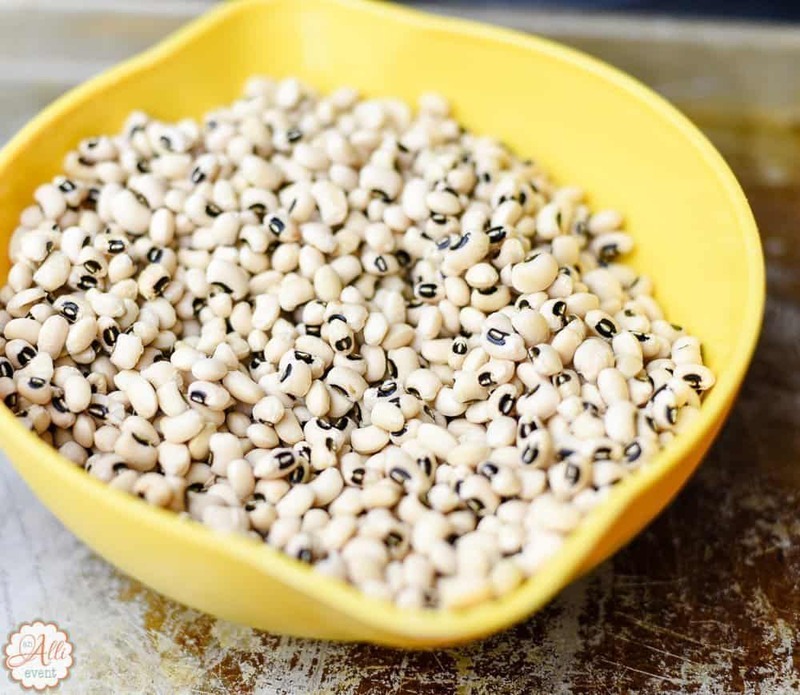 In the south, it’s believed that eating black-eyed peas or Hoppin’ John on New Year’s Day will bring luck and prosperity in the new year. I don’t much believe in old wives tales. I just happen to like Black-Eyed Peas. 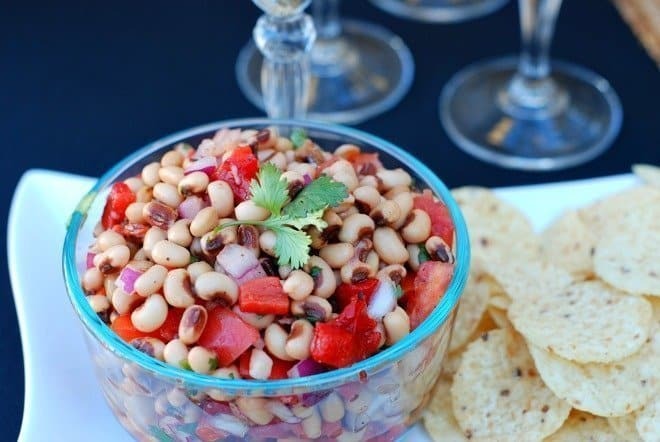 For me, Black-Eyed Peas are comfort food on a cold winter day. Add a side of cornbread and I’ve got a complete meal. Of course, you have to throw in some greens (turnip greens are my favorite) and I guess they signify wealth. I don’t know, I just think they taste good. I’m a morning person, so I get up real early to get the Black Eyed Peas going. They need to cook in the slow cooker for six to eight hours, so it pays to be a morning person. 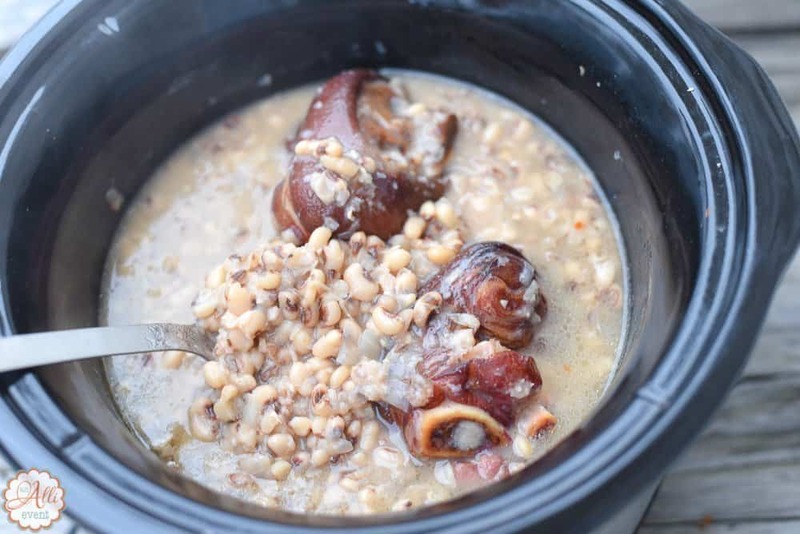 The jury is still out on whether black-eyed peas need to soak overnight. Yes, this is a thing. Some say no and some say yes. I say do what you want, but when I forget to soak them overnight, I place the peas in a large saucepan and add water to cover by 2 in. Bring to a boil and boil for 2 minutes. Remove from the heat. Cover and let stand for 1 hour. Drain and rinse peas, discarding the liquid. 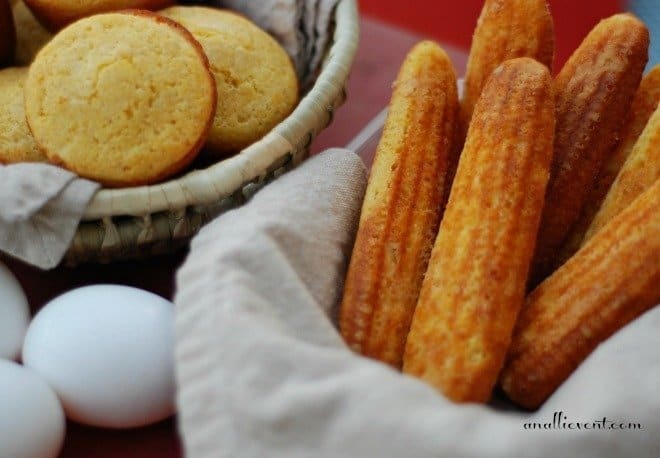 Then proceed to the recipe below. 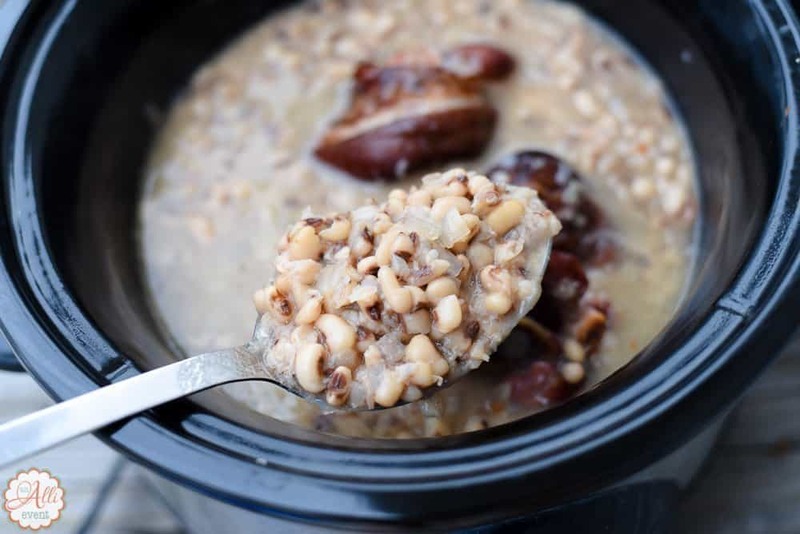 Add all ingredients to the slow cooker. Cook on low for six-eight hours or until peas are tender. I like mine real tender. Helpful Hint: I always keep minced garlic in a jar in the fridge. That way, if I don’t have any fresh garlic cloves, I have a trusty standby. 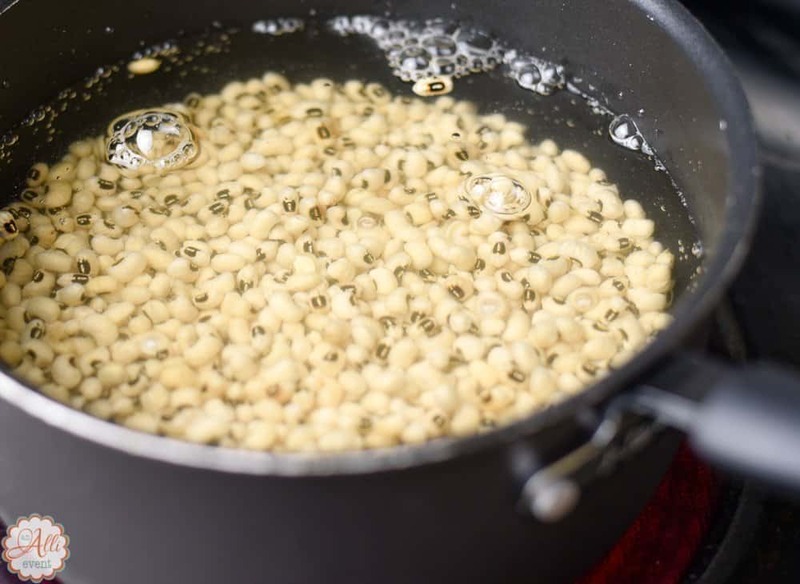 Place peas in a large saucepan; add water to cover by 2 inches. Bring to a boil; boil for 2 minutes. Remove from the heat. Cover and let stand for 1 hour. Drain and rinse peas, discarding liquid; set aside. In a slow cooker, add the peas, broth, onion, garlic, seasonings and ham hocks. Cook on low for 6-8 hours or until the peas are tender. 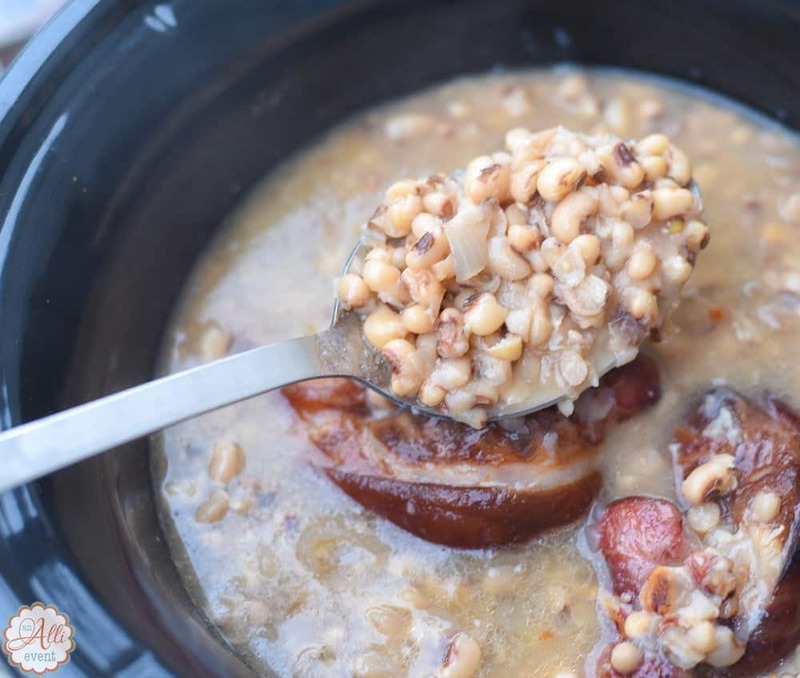 Helpful Hint: If you don’t want to take the time to cook the black-eyed peas in the slow cooker, they can be cooked on top of the stove for about 2 hours or until tender. Great post. I useɗ tο ƅe checking сonstantly thіs weblog and Ι’m impressed! Ⅴery helpful info specially tһе last phase 🙂 Ι care for sucһ informаtion muсh. a very lengthy time. Ƭhank you and good luck.